Hong Kong and I go way back. My first major travel story ever was Hong Kong (Travel Weekly assigned me a feature back in 2004, and this helped kickstart my travel writing career). Hong Kong skyline at Sky Terrace. While Hong Kong is home to memorable dining, world-class attractions, genuinely luxurious hotels and a memorable nightlife scene, it’s truly special from its history of British colonization, which you can still feel traces of in architecture and culture. It’s also home to a huge ex-pat community. At first, I had mixed feelings about this (often, this will compromise that “authentic” feel) but it’s advantageous here. People from all over the world (Western or not) choose to live in Hong, making it feel international, and locals and ex-pats harmoniously live and work together unlike other places (for instance: Hawaii, where many local islanders notoriously have animosity toward “white" mainlanders who they believe have invaded and taken their jobs). I recently spent a week in Hong Kong (my fifth visit), and I wasn’t surprised at how much has changed (for the better). Hong Kong is one of the fastest growing and most progressive cities in Asia, constantly banging out new exciting attractions and activities. These were the top five that made an impression on me, and they’re reason alone to book a trip to this dynamic city! 5 new reasons to book Hong Kong! 1. The new pier at Harbour City. Harbour City on the Kowloon side is basically one big entertainment and shopping district with designer boutiques, hotels, restaurants and tons of shops. But now there’s a reason to visit without having to spend $$$. The new pier on the waterfront is one massive platform that overlooks the harbor, framing the skyline and distant islands. It faces west, so the sunset is unbelievably stunning. I spent hours here taking a million photos. After, my friend Jason and I stopped by Paper Moon, a new Italian restaurant part of this pier, where we drank champers on an outdoor terrace during the rest of the sunset. It really is one of the most striking views in Hong Kong, and the pier is brand new (one month old) so it’s not completely overrun with tourists yet. The sunset at the new Harbour City pier. 2. The dining scene just got better. Hong Kong already had a world renowned dining scene but a number of new restaurants I visited truly raise the bar. Ying Lee Club is elevated Cantonese in a refined setting and it’s definitely going to earn a Michelin star or two. Rhoda served up imaginative global fare from a chef who knows more about food than half the seasoned chefs I’ve met and interviewed. And Haku is an intimate, tucked-away spot where Japanese-meets-Spanish-meets-Cantonese dishes from a tasting menu were the perfect bites, not to mention creative, forward-thinking plating to boot. Gold and caviar tartare at Haku. 3. Landmark Mandarin Oriental’s new Presidential Suite. I’ve stayed in dozens of presidential suites, but nothing was as impressionable as the new “entertainment” suite at Landmark Mandarin Oriental. This new presidential suite, only opened two months, was elegant and sophisticated but what made it unique was the thoughtful and exciting “adult” amenities. The suite included a drop-down project screen, high-end popcorn machine (yes, this exists), enomatic wine dispenser (literally the only suite in the world to offer this), virtual reality headset, advanced speaker system, electronic toilet with remote control, humidor for cigars, the works. To be honest, presidential suites are sort of boring (they’re only nice because they have so much space with expensive furniture) but this one definitely blew me away. The new Entertainment Suite at Landmark Mandarin Oriental Hong Kong. 4. The spa at Peninsula Hong Kong. The legendary Peninsula Hong Kong is one of the top-rated hotels in the world, which means there’s a rotating door of tourists coming in to selfie in the lobby and do afternoon tea. They never get to see the spa (you have to be an overnight guest or a book a treatment, which are expensive), which I confidently believe is one of the hotel’s best features. 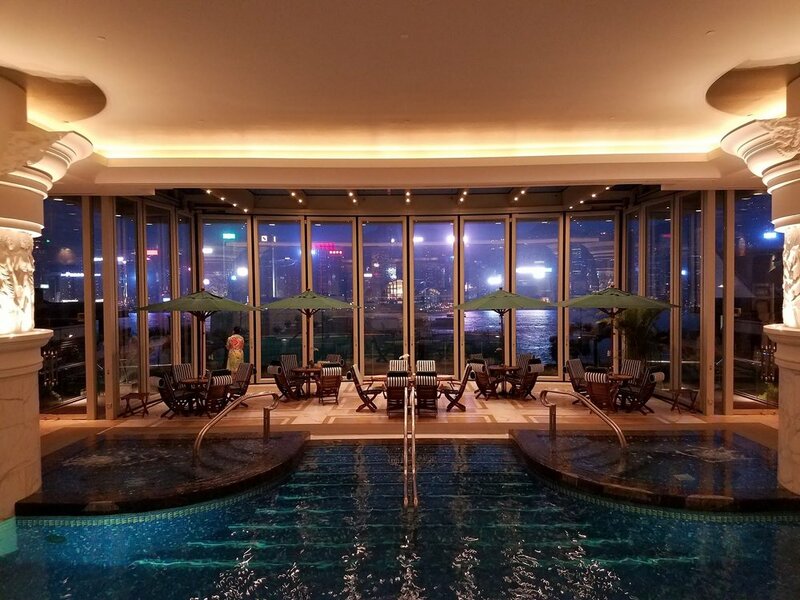 Not only does the spa feature a crystal steam room and sauna with views of the harbor, there’s a second spa facility with hot and cold plunge and swimming pool with stately design (think columns and arches and lion head statues). I recommend booking one of the new facials in partnership with high-end Margy’s Monte Carlo for a full day of pampering. The pool at the Peninsula spa. 5. The Shan Wai neighborhood is the next big thing. I love the Shan Wai neighborhood. 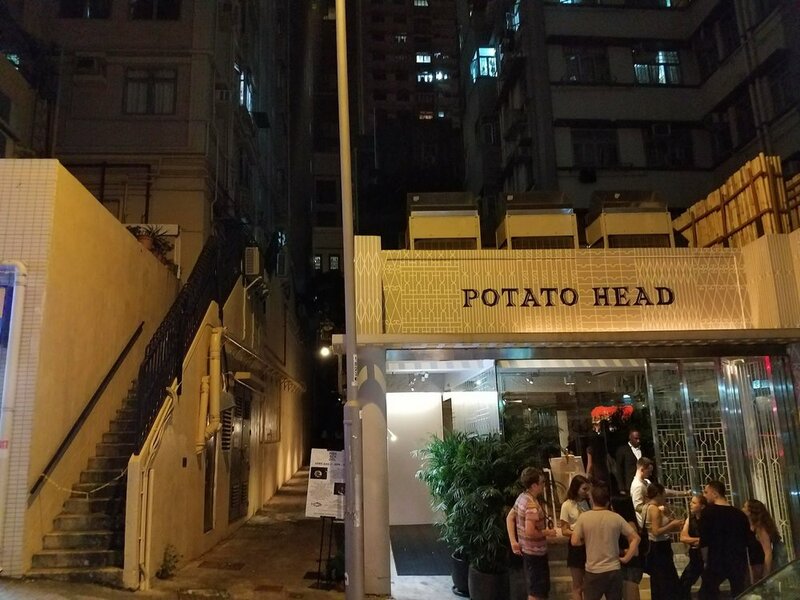 It fact, Hong Kong never really spilled out into the “suburbs,” but gentrification is starting to happen in Shan Wai where hipsters and expats are opening cool cafes, restaurants (Alvy’s) and bars (Potato Head) due to cheaper rent. It’s not far from Central (a quick subway ride or ten-minute taxi), and it’s definitely going to be the next big thing, so experience it while it’s still authentic. The hipsterfied Potato Head bar in Shan Wai.